It is that rather lovely time of year again when the limbs of our apple trees are bowed down with the weight of their bounty, and the hues of the various apple skins glint in the evening sun. We have about nine apple trees in total, some cooking, some eating; the only one I’m certain of is the ever reliable Beauty of Bath which was the favourite of my great grandmother and does her proud every year. Although the apples have not suffered any attacks from the crows they have come to the notice of the geese and the turkey. I don’t begrudge them the windfalls as I feel it will add even more flavour to them when they’re presented at the Christmas table. Ha, little do they suspect their fate! The perfect combination an orchard with geese. I know, but they get an idyllic life full of fun before Christmas comes, so I try to justify it to myself that way. I really appreciate having them, fresh apples make the best pies! How many geese and turkeys do you keep? Are they all for the xmas table? What do you do with all the apples? We are unfortunately down to one turkey as Penny was taken by the fox. We have about 10 geese, 3 of which are the parents. None of our turkey eggs hatched out this year so Horace’s fertility is being called into question. We try to pick most of the apples and store them outside in boxes, and use them during the winter for pies. They keep quite well as long as you don’t put any bruised apples in. I dream of having an orchard like yours. 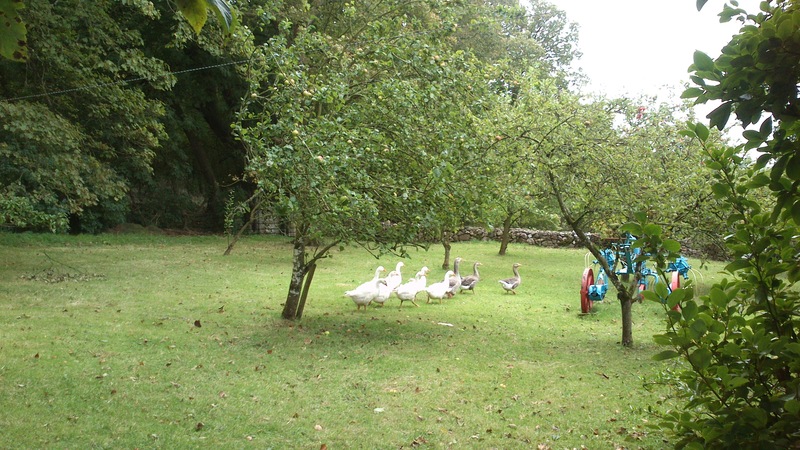 When I was young, my parents rented a huge house with an orchard at the bottom of the garden, it was idyllic. 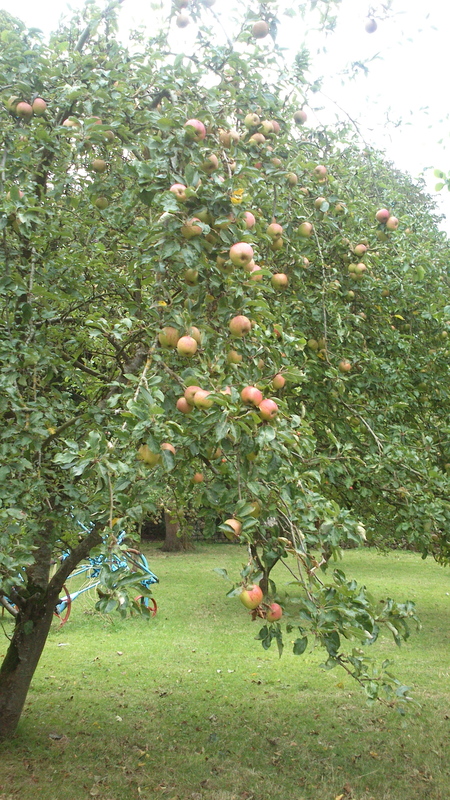 My grandfather also had numerous apple and pear trees in his garden. Living in London, however, I’m unlikely to achieve my dream unless I can persuade other tenants here how lovely the gardens could be with more fruit trees! You have my commiserations! An apple tree is so beautiful, especially at blossom time. Would you have room for an ornamental crab apple tree? They’re a bit tricky to find but they’re small, beautiful and you can make crab apple jelly with the fruit. We have one and I have my heart set on getting some more because they’re so pretty! Wow 9 trees!! That’s awesome! I have pink lady apples and they ripen a bit earlier so I’m nearly through all mine. I just love having my own apples 🙂 Have fun! They’re great for pie making!